The product must be a 3 digits number. The first digit of the product is equal to the first digit of x, and the last digit of the product is equal to the last digit of x. For example, if x = 27. The first digit is 7, and the last digit is 2. The second digit (number between 2 and 7) of the answer will be equal to the sum of the 2 digits of x. 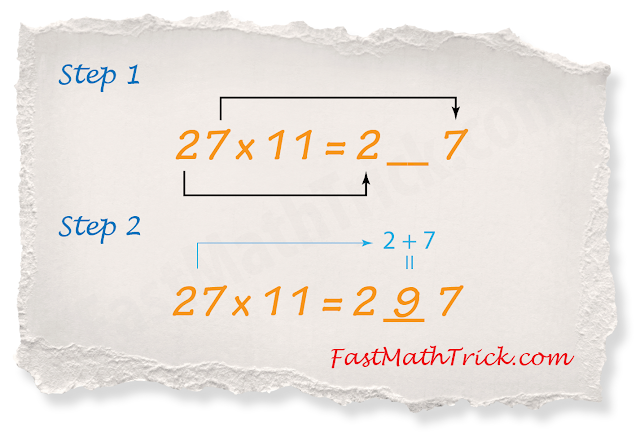 The sum of the two digit of 27 is 2 + 7 = 9. Therefore, the second digit of the product is 9. If the sum of the 2 digits of x d is greater than 9, then we add the tens digit to the hundreds. For example, if x = 48, the sum of the two digit is 4 + 8 = 12. If x is a 3 digits number, the method is pretty much the same. We write the first and last digit of x as the first and last digit of the product. For example, if x = 236. 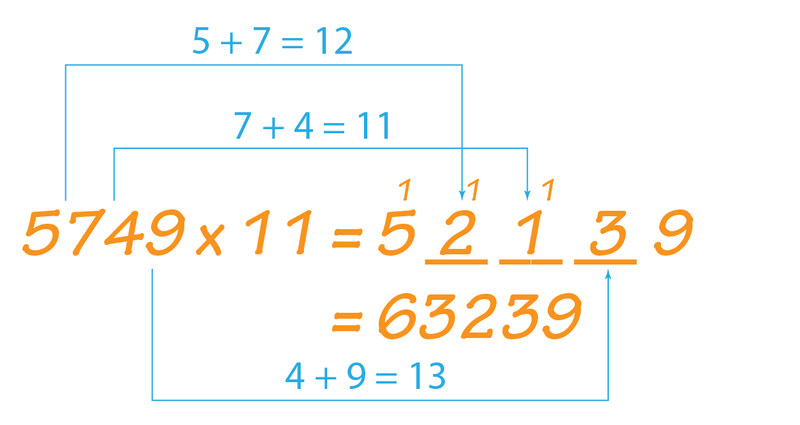 The sum of the first and second digit, 3 + 6 = 9 will be the second digit of the product, and the sum of the second digit of x, 2 + 3 = 5, will be the third digit of the product. 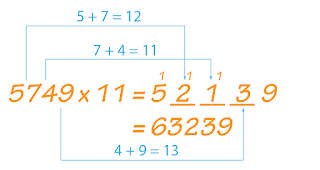 The sum of the first and second digit of x is 7 + 6 = 13. 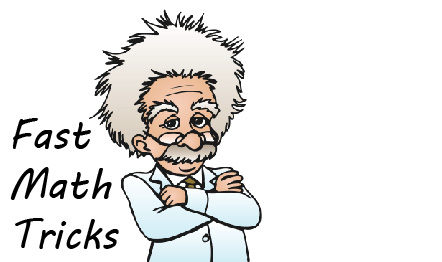 The tens digit will be added to the hundreds value place (the third digit), the answer will be 3035.